Mayor Cerino called the Mayor and Council meeting to order at 7:40 p.m. In attendance were Councilmembers David Foster, Linda C. Kuiper, Rev. Ellsworth Tolliver and Mauritz Stetson, W. S. Ingersoll (Town Manager), Jennifer Mulligan (Town Clerk) and guests. Mayor Cerino asked if there were any additions or corrections to the minutes of the Mayor and Council Meeting of April 2, 2018. Mr. Stetson moved to approve the Mayor and Council minutes of April 2, 2018 as submitted, was seconded by Rev. Tolliver and carried unanimously. Mayor Cerino stated that total operating cash on hand for unrestricted use is $673,326.99. A total of $294,859.51 in bills has been paid for construction work at the Marina which the Town was waiting to be reimbursed through grants, bringing the total to $968.186.50. Mayor Cerino asked for a motion to pay bills. Mr. Foster moved to approve payment of the bills as submitted, was seconded by Rev. Tolliver and carried unanimously. Mr. Ingersoll stated that he wanted to begin the meeting with the Adoption of Ordinance 01-2018 Authorizing the Use of a Line of Credit with Chesapeake Bank and Trust Company, which was an interest only loan with a limit up to $2.5 million. If the Ordinance passes this evening it will become effective on May 6, 2018. Rev. Tolliver clarified wording in the document. Rev. Tolliver moved to adopt Ordinance 01-2018 Authorizing the Use of a Line of Credit with Chesapeake Bank and Trust Company, with the word “especially” being changed to “such as”, was seconded by Mr. Foster and carried unanimously. Language changes were initialed by the Mayor and Council in the Ordinance. Mr. Ingersoll stated that he and Ms. MacIntosh met with representatives of Kent County and came to an agreement on a County loan for the movie theater owners with a three year payback. The Town would commit using the admissions and amusement taxes for the repayment and would become the owners of the chairs and concession equipment in the theater should the owners default on the remainder of the loan. Mr. Ingersoll stated that he thought this was a good showing of cooperation between the Town and County. He said that he met with the theater owners at the theatre and offered assistance in expediting the building permit process if what they intended to change required a permit. Mr. Ingersoll stated that he had a permit request from Faith Life Church for “Loving Our Neighbors Day” on Saturday, May 5, 2018 with a request to close the alley to the church on Calvert Street from 9 a.m. to 3 p.m. Rev. Tolliver moved to approve the permit request from Faith Life Church for Loving Our Neighbors Day on Saturday, May 5, 2018 from 9 a.m. to 3 p.m., was seconded by Mr. Foster and carried unanimously. Mr. Ingersoll stated that there was a permit request for the Tea Party Parade on Saturday, May 26, 2018 at 10 a.m. Mr. Foster moved to approve the Tea Party Parade permit as submitted, was seconded by Mr. Stetson and carried unanimously. Mr. Ingersoll stated that there was a permit request for the Memorial Day Parade on Monday, May 28, 2018 at 10 a.m. Mr. Foster moved to approve the Memorial Day Parade as submitted, was seconded by Rev. Tolliver and carried unanimously. Ms. Kuiper stated that the Budweiser Clydesdales would be at the Tea Party Festival this year and were scheduled to be in the parade. Mayor Cerino called Sergeant Lozar forward to present March’s police report in the absence of Chief Baker. Sergeant Lozar presented the statistics for March 2018. Mr. Stetson asked why foot patrol was only at 9%, noting that he would like to see foot patrol at least at 10%. Sergeant Lozar stated that March was a busy month with other duties. Sergeant Lozar stated that he wanted to thank the Chestertown Elks who purchased and installed a prescription pill drop-box that is now at the Chestertown Police Department’s main entrance. He said that anyone with prescription medication, either out of date or no longer necessary, can anonymously use the drop-box at any time of the day or night. Sergeant Lozar stated that there was now a full-time school resource deputy at Kent County Middle School. Should there be calls for service at the Middle School; the Chestertown Police Department will assist. Sergeant Lozar asked that pedestrians be aware of their surroundings while crossing the streets in Chestertown so they are not struck. He said that warmer weather tends to make drivers less focused. Rev. Tolliver asked Sergeant Lozar how effective he thought the surveillance cameras were on Calvert Street in fighting crime. Sergeant Lozar stated that since the cameras were installed in that area there have been many crimes solved, especially having to do with narcotics. Sergeant Lozar stated that there are many behind the scenes things that occur with the use of cameras. Rev. Tolliver asked how often the cameras were used; noting the CDC and canine scans in that area on the police reports. Sergeant Lozar stated that he could not tell by the report if the cameras were used for those arrests, but he said that every officer in a patrol vehicle has access to the cameras as does the Kent County Narcotics Task Force and the Chestertown Police Department headquarters. He said that there was an app for the police officers’ cell phones as well. Mr. Foster stated that there was once a camera located at the corner of Kent Street and High Street and there was a noticeable drop in criminal activity while it was in place. He said that his daughter lived in an apartment located in the vicinity and it provided him with a sense of security. Rev. Tolliver stated that he did not like explaining to his constituents in that neighborhood that a police officer can surveil them from anywhere in Town, noting that it made him uncomfortable. Sergeant Lozar stated that he did not have specific approval to install the cameras, but he would like to see them in other areas of Town as well. Sergeant Lozar stated that there was no way to stop technology and that was how the cameras worked, noting that the Town of Salisbury has cameras through their entire Town. Mr. Stetson stated that he would not be uncomfortable with cameras on his block, saying that it would give him a feeling of security. Rev. Tolliver stated that the children in that neighborhood feel like they are under suspicion, as there was a stigma attached to the cameras. Mr. Stetson stated that the children should know that the cameras are in place for their safety. Ms. Kuiper stated that Rev. Tolliver should do a ride-along with the police sometime in order to see firsthand how people try to divert the police from one area in order to move the criminal activity to another area. Sergeant Lozar agreed, stating that he would be happy to have a ride along with any of the Council members. Mayor Cerino stated that when he was first elected Mayor, the entire neighborhood where the cameras are located came to a meeting requesting an additional camera because there had been a drive-by shooting and there was an alley that had questionable loitering they wanted to stop. Sergeant Lozar stated that he thought many residents of the Calvert Street area would praise the cameras rather than wanting them removed. Rev. Tolliver stated that his issue with the cameras was the stigma it gave that this was the only neighborhood in Town with problems. Sergeant Lozar stated that he disagreed, stating that there were many areas in Town with issues and he would like to see cameras installed throughout Town, using all of High Street and both shopping centers as a starting point. Rev. Tolliver stated that there should be fairness and equity all through Town. Mr. Ingersoll stated that he would like to see public/private cooperation where a property owner would install a camera and the Chestertown Police would monitor it. He said that once the wireless network was finished it may be something that could be accomplished. Mr. Ingersoll stated that when the Hot Spots Grants were awarded by the Maryland Justice Department it was in an effort to stem crime and studies were done before any cameras were installed. He said that he would like cameras in Town parks, along the rail-trail, by the waterfront, and on all Town properties. Mayor Cerino asked if budgeting for cameras in the upcoming budget was realistic. Mr. Ingersoll stated that it was not, noting that each camera is approximately $2,000.00; the infrastructure is much more than that. He said that if the private sector paid for the cameras, the police department could monitor them. Sergeant Lozar stated that with one program there was the capability of monitoring 180 cameras. Mayor Cerino stated that there was a vacancy on the Historic District Commission. He said that Ms. Nancy McGuire served on the Commission for many years and said he wanted to thank her for her years of dedicated service to the community. He said that this was not an easy Commission to be part of, and sometimes the outcomes are not pleasing to the applicants. He said that Ms. McGuire served with distinction and he was grateful for her service. Mayor Cerino stated that there was one applicant for the vacant position, but there was information on the website regarding volunteers for anyone who was interested. 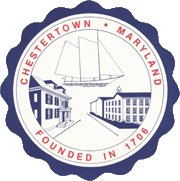 Mayor Cerino stated that the bond bill for $500,000.00 for capital improvements to the Chestertown Marina made it through the house and the senate. He said that the funding should be live July 1st and would be applied mostly to the new Interpretive Center and bulkhead work. Mayor Cerino stated that this would get Chestertown close to where they needed to finish the Marina improvements. Mayor Cerino stated that the Environmental Committee will be showing “Garbage Dreams” at the GAR Center on South Queen Street, on Thursday, May 3rd at 7:00 p.m.
Mr. Foster stated that he was pleased to see the Town advertising vacancies for Commissions and Committees as there was plenty of talent in Chestertown. Ms. Kuiper stated that she met Ann Monty on Saturday at the Farmers Market. She worked on a magazine called “Edible Delmarva” and asked if the Town would be interested in advertising with the magazine. The costs were $100.00 per month. Ms. Kuiper said that she promised to bring it before the Mayor and Council. Ms. MacIntosh stated that the magazines are all over Town and said that she may think about advertising there when they have additional marketing funds. Ms. Kuiper stated that she would like to see an update on the website on the state of the Marina. She said that business owners need to know what is happening when visitors ask about it. Mayor Cerino stated that he would work on an update, noting that he already sent letters to slip holders that there would be no available slips this season. Mayor Cerino stated that if all goes well a contractor will arrive in early May to demolish the last remaining pier and begin installation of a floating pier there (by Scott’s Point). Then the contractor will extend the Cannon Street fixed pier where Sultana and Echo Hill dock. The third pier will be the fuel dock. He said he hoped that work would be complete by mid-September 2018. Ms. Kuiper stated that the Artisans returned to the Farmers Market this past Saturday. She said that there were requests to the Town to rake the magnolia pods before next weekend. Ms. Kuiper stated that the Tea Party was right around the corner and in addition to the Budweiser Clydesdales there will be 30 new artisans participating in the festival. Ms. Kuiper stated that volunteers are still needed for the Tea Party Festival. Rev. Tolliver stated that the Third Ward celebrated Unity Day on Saturday, April 14th with Washington College and said that it was a nice program and a successful day. There were vendors and information available to all who attended. Rev. Tolliver stated that a Martin Luther King event was hosted at Bethel Church, with a packed house. He said that two of Martin Luther King’s speeches were recited at this event. Rev. Tolliver stated that he participated in the “Your Voice Your Vote” workshop to help increase voter registration for the upcoming elections. Rev. Tolliver stated that he met with Ms. Linda Dawson of Kent Forward to see how he could help support the school district and their efforts to increase student achievements. He said that a 3-year old program was a big initiative at this time and would target many children in the Third Ward. Rev. Tolliver stated that he attended the Kent County Commissioners meeting to support Mayor Cerino for assistance to get the movie theater project going. Mr. Stetson stated that he attended the Legislative Breakfast at Heron Point and had the chance to thank the 36th legislation for the $500,000.00 funding of the Marina. Mr. Stetson stated that the legislators gave the credit to Senator Mike V. Miller. Mr. Stetson stated that he did a walk-through of the Interpretive Center and it was going to be a nice building when finished. Mr. Ingersoll stated that Mr. John Wagner was spring cleaning at his house in Kingstown and found a commemorative plate from the Town’s 250th Anniversary. The plate was now hung in the meeting room above a 1706 plate. Mr. Ingersoll thanked Mr. Wagner for the donation, and reminded the Council that Mr. Wagner had donated the commemorative 250th flag that hangs behind the Council’s seating. Mayor Cerino stated that Ms. Monika Phillips asked to speak to the Council regarding her experience with the Farmers Market. Ms. Phillips stated that she was a vendor at the Farmers Market for approximately 3-years when she was dismissed by Mr. Owen McCoy (manager of the Farmers Market) in September 2017 for not making all of the things on her sale table. Ms. Phillips stated that she explained she was selling dehydrated products that she did not make, but they were made by her sister in Delaware. Mr. McCoy told her that he did not have time to investigate the matter and she was told that she could no longer vend. Ms. Phillips stated that she tried to look for an appeals process, but when finding none, she was told by Mr. McCoy to come before the Mayor and Council. Ms. Phillips stated that it was also difficult to find the Rules & Regulations of the Farmers Market. Ms. Phillips stated that she thought there should be a committee formed for the Farmers Market so that all vendors are following the same rules. She said that she knew for a fact that she was not the only vendor who has added products that they did not make. She said that she did not know why, or if, she was singled out but wanted an opportunity to be permitted back in the market, noting that she has a list of everything that she makes at her home in Worton. Ms. Phillips stated that there seemed to be some confusion regarding “Deer Valley Danes” which was her sister’s company in Delaware, noting that she did hang a banner for that business which has Delaware on it. She said that her sister makes private label products and sells them on a website, but the products are made in Worton as well, just not labeled with Worton. Ms. Phillips stated that she loved the Farmers Market and was not trying to break any rules. She said that she would be happy to incorporate and make her own labeling for the pet treats she makes for sale in the market. Ms. Kuiper stated that when she looked up Deer Valley Danes there was information for different states, not just Delaware. The items were being resold under Deer Valley Danes and the labels had those states on the products at the Farmers Market. Ms. Phillips stated that there is a contract and written list of rules for every Farmers Market she attends, but she never received anything written for Chestertown’s Market. She said that she emailed Mr. McCoy and they communicated by email but she would like to see the written rules so she could obey them. Ms. Kuiper stated that the Council was working on a draft but it had fallen to the wayside. Mr. Ingersoll stated that the latest approved version was from 2010. Mayor Cerino stated that the issue appears to be that the Farmers Market process is not particularly well laid out by the Town and it would be helpful to have rules for vendors and contact information on the Town website. Mayor Cerino stated that although the Farmers Market uses the Town’s land, the Mayor and Council does not vet those participating; they have paid market managers for that. Mr. Ingersoll stated that Ms. Phillips was told by the Market Manager that the appeals process beyond him was to the Mayor and Council and the older rules bear that out. Ms. Kuiper stated that Ms. Wanda Gorman has a contract for the participants of the Artisans Market, which made things run smoothly on her end. She said that she would revisit the draft Farmers Market agreement and return to the Council with changes. Mayor Cerino stated that if Ms. Phillips could provide her list of items for sale and insure that they were locally made in the market, he thought that would be helpful in reentering the market. Ms. Kuiper stated that in addition, space is limited and reentry would be conditional upon space being available. Rev. Tolliver disagreed with the issue of space as Mr. McCoy sent Ms. Phillips to the Council to arbitrate the situation. Ms. Phillips stated that she has checked and her space is still open. Mr. Ingersoll stated that the 2012 draft came about because new items were being introduced into the market. He said that an appeals process or a liaison was a good idea to have in a signed contract. Mr. Foster moved to provide a favorable recommendation to Mr. McCoy to allow Ms. Monika Phillips reentry into the Farmers Market, selling locally produced products, assuming space is available, was seconded by Rev. Tolliver and carried unanimously. Mr. Foster stated that it was important to update the draft Rules & Regulations so that it is transparent and available to the public. The Council agreed. Mayor Cerino asked if there were questions or comments from the audience. 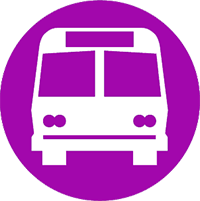 Ms. MacIntosh stated that this Thursday, April 19th, was the relaunch of Cars on High which would run the 3rd Thursday of the month through October 2018. She said that the High & Wide’s would be playing in the Fountain Park and there would be food trucks on site. Ms. MacIntosh stated that the cruise line was making a return to Chestertown with their “Chesapeake Bay Revolutionary Tour” on Friday, April 27th. The ship would return several times over the course of the rest of the year. Ms. Kuiper stated that it would be nice for the business owners to know all of the tours that are coming in to Chestertown. She said that there was a large tour from Alexandria, Virginia which had a planned itinerary but nobody seemed to know who was arranging them. Ms. MacIntosh agreed, stating that she would look into the matter. Mr. James Sampson of 212 Calvert Street was present and stated that he has addressed the matter of a large tree in front of his house that was causing property damage. He asked when the tree was going to be addressed as it had been some time since he brought the matter to Mr. Ingersoll’s attention. Mr. Ingersoll stated that there was a process to having a healthy, living street tree removed, such as Tree Committee approval, a state permit from the Forestry Service, and the funds to have the tree removed, which in this case could be somewhere between $800.00 and $1,000.00. Mr. Ingersoll stated that one member of the Committee asked that the large Basswood tree be permitted to blossom one additional season. He said that the Tree Committee is reluctantly allowing the tree to be removed. Mr. Ingersoll stated that he fixed the buckling sidewalk issue once already and had the tree trimmed over Mr. Sampson’s porch. Mr. Ingersoll stated that Mr. Sampson was upset that the removal was taking a long time, but there was a process that he was following to get it removed and it took some time to get a permit. Mr. Foster stated that this type of problem happens all through Town, especially on Queen Street. Mr. Ingersoll stated that it was a process; it was difficult to get a permit to remove a healthy tree and will cost a good deal of money to take the tree down. There being no further business and no questions from the audience, Mr. Stetson moved to adjourn the meeting at 8:55 p.m., was seconded by Rev. Tolliver and carried unanimously.